The present church building was built on the site of the original post reformation building. This had been in such a poor state of repair by the end of the 19th century, that a replacement was necessary. 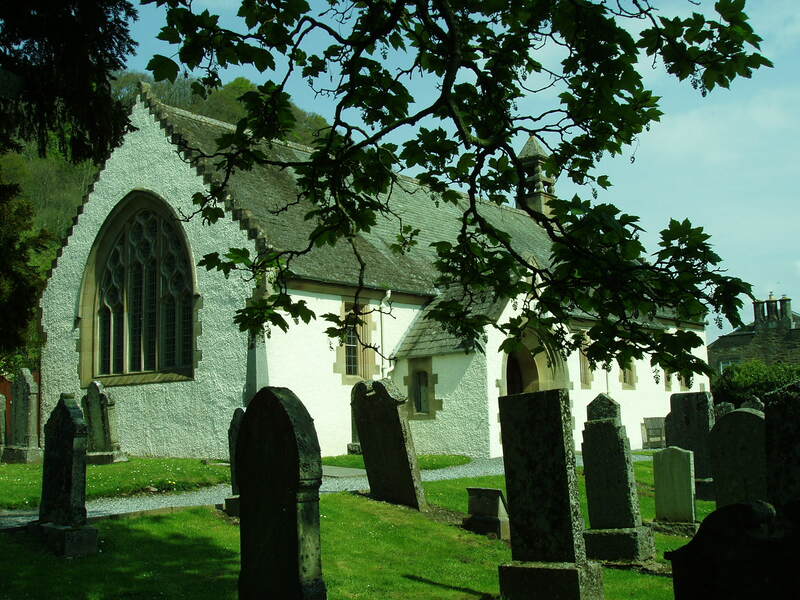 The plans were drawn up by William Dunn and Robert Watson, colleagues of James Marjoribanks McLaren, the architect who had transformed the village of Fortingall for Sir Donald Currie. 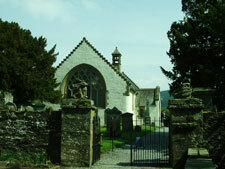 The church was built to the highest standards, mainly at the expense of Sir Donald Currie, and was handed over to the Heritors on 23rd September 1902. MacLaren’s plans for the village incorporated elements of Scottish medieval buildings, and the church displays some of these - it is harled and has crow-stepped gables. 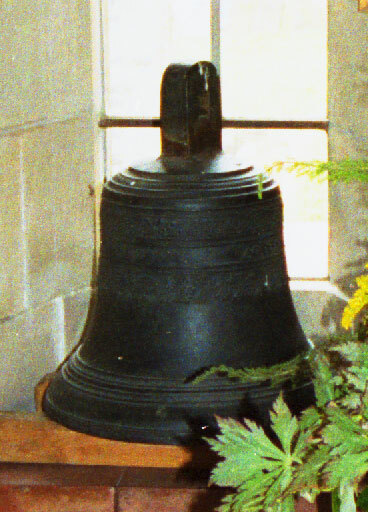 The bell cote towards the east end of the church is in 18th Century style. 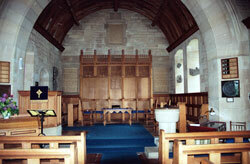 On the inside, the walls are sandstone, with oak panelling . The roof is of hand-worked oak timbers in an open barrel-vault. The pews and other furnishings are also of oak, as is the chancel screen, designed by Sir Robert Lorimer, which, along with stone tablets of the Lord’s Prayer and Ten Commandments were erected as a memorial to Sir Donald Currie by his family in 1913. 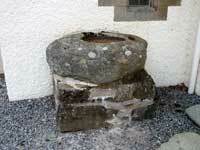 Just outside the church door is a large stone font. Until 1901, it was situated inside the church, but when the new church was built, it was replaced by an Arts and Crafts sandstone font, inscribed ‘suffer the little children to come unto me and forbid them not’. 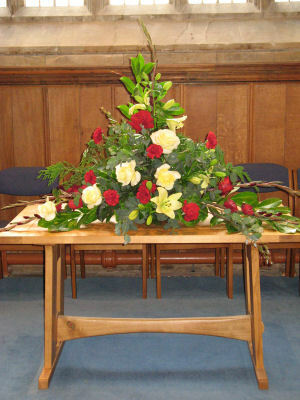 As part of the Centenary celebrations in 2002, some of the pews were removed from the back of the church to form a Fellowship area, which is used weekly for coffee and fellowship after the morning service. The oak from the pews was used to make new furniture in the Arts and Crafts style.